A mom’s job is tough! 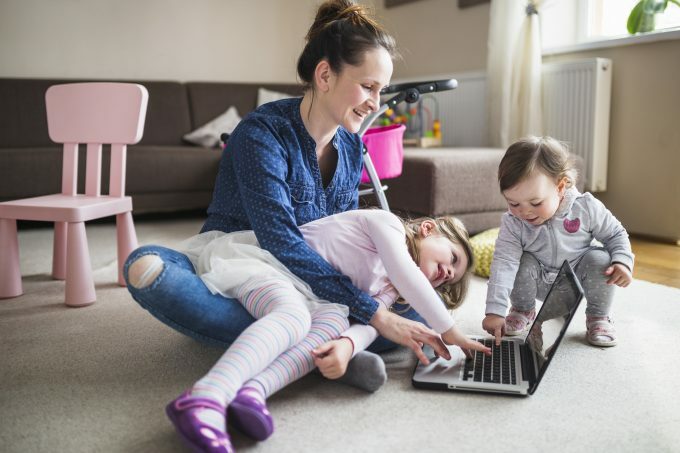 Whether you’re a stay at home mom or working mother, you have a lot on your plate. From supporting the kids in all their hobbies and driving them to and from activities to feeding them healthy meals every day, super moms do it all. Being a mom is one of the most rewarding, yet challenging, jobs around. Let’s look at just some of the ways our mothers do it all. The most basic function, eating, is often one of the most challenging for busy moms! Not only does she have to worry about feeding herself healthy and filling meals, but she also has to put food in the mouths of her little ones and usually significant other! Cooking three meals a day for four people all week adds up to 84 meals, all at the hands of our loving mothers. Whew, that’s a lot of time in the kitchen and a lot of lunches to pack. Looking for some ways to save time feeding the family? Check out some of our favorite Crock Pot recipes. Crock Pots are a mom’s best friend because all you have to do is throw some stuff into the pot, turn on the heat, and set it and forget it. Dinner is effortless with this one tool. If you want to save even more time, prep some freezer Crockpot meals in advance and then literally just put them in when you’re ready to cook. Despite popular belief, moms don’t always have all of the answers, even though they seem to. They question whether or not they’re making the right decision all the time, but also have to help their kids make the right decisions along the way, too. From choosing what friends to hang out with to taking care of the family pets to not engaging in dangerous behavior, moms teach us how to stay on the right track. With all that going on, it can be hard to miss signs of a problem in yourself or your children. Alcoholism and drug abuse is something that can tear families apart, so if you or a family member needs treatment, see this treatment directory to find the help you deserve. Moms can’t do it all, so don’t be afraid to ask for help when you need it. Moms are great nutritionists, life coaches, and nurturers, but they are also great teachers! Our moms teach us everything, from how to get dressed in the morning to how to graduate high school. We have our moms to thank for learning patience, kindness generosity, courage, independence, and a million other important life lessons. Lastly, moms are a friend! At the end of the day, there’s nothing like cuddling up with your mom and having her arm around your shoulder. In that embrace, nothing can hurt you and moms are the best shoulder to cry on, the best ear to listen, and the best place to seek advice. Moms are moms 24/7 and there’s never a break for this challenging job. We have our mothers to thank for the people that we become.